Celebrate and Let Loose at the Broadcast Excellence Awards! We received a record number of Broadcast Excellence Award entries this year and we want to celebrate with you! Make plans now to attend this prestigious awards ceremony and celebrate your station and co-workers. This ceremony is your chance to meet and mingle with professional broadcasters statewide and show off your hard work from 2016! Pre-registration is required to attend the BEA ceremony, which is only $35 for MAB station members. Register HERE. The Robinson Report: Hard Job? Sitting in a plane somewhere over the Midwest I casually glance at the notes a weary traveler is creating next to me. My head aches as I look away with pity. As tree limbs snapped under the heavy tornadic winds in the Deep South, linemen and emergency services are dispatched for a non-stop odyssey in an attempt to restore power for hundreds of thousands. The Sappers of Company B, 65th Engineer Battalion perform daily Improvised Explosive Device (roadside bombs) route clearances in Iraq. Their mission is to clear the path for their comrades, hunting down IEDs and make sure they get destroyed. Many times with deadly results. Media consolidation has produced an environment where our personnel perform two, three or more roles inside a cluster. Most cluster programmers and sales managers are at the helm of two or more brands. Having dedicated creative directors – now a rarity. Our industry remains the best place to serve the community, touch audience hearts and engage with true emotion. Plus, automation systems, computer newsgathering, digital editors and wireless connections provide time to create more compelling content. The media internal environment – is simply better and more efficient today! Media positions are a privilege – and far from true hard work. I saw an episode of “Family Feud” the other night and one of the answers the audience gave was “Old School Pager.” Ten years ago, almost all business executives had to carry a pager or cell phone to take calls while out of the office. At that time, you may have even had a Palm Pilot or other Personal Data Assistant (PDA) to take notes and keep your calendar. If you listened to music you carried an iPod as well. Then the world changed… In the spring of 2007, Apple introduced a device that combined the cell phone, the PDA, the pager and the iPod into one single device. They even included Internet access so you could research while on the go. We know it today as the first iPhone. There was much excitement around the announcement that Steve Jobs made in the public unveiling… but, there was plenty of skepticism, too. This reminds me of a friend that I worked with in 1995 who was discussing our organization having a website to publicize our location and business. “I think we need to wait a few years to see if the Internet will catch on. It may pass away like CB radios!” It sounds funny today, but if you are old enough, you remember the push back the doubting public had to the Internet and business websites back then. Just 10 years ago, the idea of small businesses and even individuals having their own sites on the Internet were as unheard of as WiFi in your house, affordable GPS on a phone, streaming movies and Bluetooth earpieces. Look at the movie, “Back to the Future,” and you will see how people relate to progress in a span of just 30 years. Remember when Marty McFly is told by his grandmother in 1955 that nobody has more than one TV? J.K. Rowling became the world’s best-selling children’s author, despite living on benefits as a single mother. Her manuscript for Harry Potter was rejected by several publishers before someone took a chance on it. Christopher Columbus believed that the fastest way to the East was sailing West. He campaigned before King Ferdinand and Isabella of Spain to finance his idea. Instead of India, he opened the door to the Western Hemisphere. Jesse Owens experienced racial discrimination in the U.S. but became a hero at the 1936 Berlin Olympics. By winning Olympic gold in the 100m, Owens helped demolish the myth of Hitler’s Aryan superiority theory. Kia Silverbrook is an Australian who invented digital music synthesis, digital video, digital printing, computer graphics, liquid crystal displays, 3D printing, image processing, DNA analysis, cryptography, nanotechnology, semiconductor fabrication and integrated circuitry. He is still alive and creating. Philo Farnsworth invented the “image dissector” in 1927. Today we call his invention, “television.” There is at least one in every home, sports bar and hospital room. Joshua Lawrence Chamberlain was a Union Colonel in the American Civil War. He led a bayonet charge against an overwhelming force when his men ran out of ammunition at the Battle of Gettysburg in 1863. His brash decision was successful and he received the Congressional Medal of Honor. Nolan Bushnell said, “Everybody believes in innovation until they see it. Then they think, ‘Oh, no; that’ll never work. It’s too different.’” Don’t let anyone tell you that your idea is impossible if they haven’t tried it themselves. Naysayers are experts in negative criticism. They most often desire to remain in their comfort zones. Comfort zones never allow for growth or creativity. Last year I spoke with my good friend and mentor, Joe Bonura, who has always been supportive of me. He presses me to move forward and take risks. One of his favorite sayings is, “You will succeed in direct proportion to your willingness to come out of your comfort zone.” The two of us discussed a marketing idea that almost nobody is attempting in our field. He challenged me to contact corporations with a different method of increasing their income than they had previously attempted. I had tried this successfully several years ago, but not as an introduction to a new client. Do you want to know a quick way of upsetting someone’s comfort zone? Try pitching an unheard of idea to a person who has been in their job for more than five years. It is extremely difficult to try something that no one has ever attempted before. President John F. Kennedy challenged the U.S. to land a man on the moon and bring him back safely by the end of the 1960s. While we look back on the “Space Race” and think it was very easily won, it was a daunting task. The Soviet Union had already put Yuri Gagarin in orbit when Kennedy made this challenge in 1961. The U.S. had only sent Alan Shepherd up and down for 15 minutes. Our space program was lagging far behind the Russians. The thought of taking a person to another world, landing him on it, launching again and coming home safely was thought to be unsurmountable in just under eight years. But, the challenge was accepted and accomplished. How do you react when someone “pitches” a new idea to you that requires doing your job different? How open are you to change and innovation in your life and career? The real heroes are the people who accept an idea, whether they get the credit or not. Risk-takers are often people who believe in the unknown because they know things haven’t been successful doing it the same way in the past, i.e., those who trained Jesse Owens… the officers and soldiers who charged down the hill with Joshua Lawrence Chamberlain… the publisher who worked with J.K. Rowling. King Ferdinand and Isabella of Spain believed in Christopher Columbus enough to finance three ships and crew. The investors who first believed in Kia Silverbrook and the “angels” who backed Philo Farnsworth were believers. I was in Canada immediately after the Canadian Olympic hockey team defeated the USA at Whistler in 2010. As I deplaned in Calgary, the hockey team had just landed and thousands of excited Canadians were waiting in the terminal to greet their heroes of the previous night’s victory. They believed all along in their team. The question is not always whether you will dare to do something different. The question is whether you will believe and support those who do, or turn and run. It requires a strong will and a belief in something greater than yourself. It requires being uncomfortable to make your results different and better. So, are you a believer, a risk taker or just crazy? 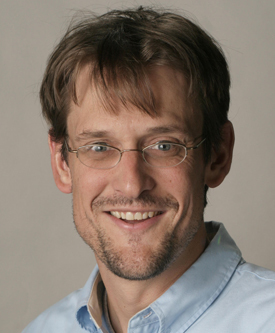 Jim Mathis, IPCS, CSP, MDiv. is The Reinvention PRO™, an International Platform Certified Speaker, Certified Speaking Professional and best-selling author of Reinvention Made Easy: Change Your Strategy, Change Your Results. To subscribe to his free professional development newsletter, please send an email to: [email protected] with the word SUBSCRIBE in the subject. An electronic copy will be sent out to you every month. 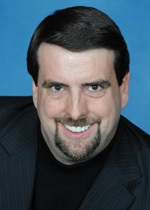 For more information on how Jim and his programs can benefit your organization or group, please call 888-688-0220, or visit his web site: www.jimmathis.com. © 2017 J&L Mathis Group, Inc.
Do you need to recruit some young, talented, driven individuals? Then it’s time to sign your station up for the MAB Foundation’s most popular and highly attended career fair! The number one request we get from stations is assistance in recruiting future employees. This is why the MAB Foundation hosts several career fairs throughout the year! 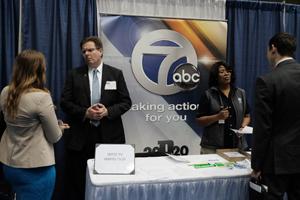 Make plans now to attend the GLBC Career Fair, your station will definitely benefit from the new contacts you’ll make with future employees and interns! By attending this event, you’ll be able to prove that your station is seeking out a diverse group of new staff and interns throughout the state, which is great for your EEO File! We decided on the goals for our website: Explaining what Jacobs Media does, capturing email addresses of potential clients and increasing our website traffic. We decided to build our website in WordPress, a popular Content Management System. Our site is a WordPress website with static pages that act as a brochure, explaining what we do, and posts — primarily consisting of content that Fred publishes to the blog on a daily basis. The purpose of the posts is to attract people to the website. These posts get shared on social media, indexed by search engines and emailed out to our database. Hopefully, people will be intrigued by the post excerpt they see in these places, click the link and come back to our site. Your radio station will use blogposts (you may prefer to call them “news articles”) to do the same thing — drive traffic to your site. The pages, on the other hand, accomplish our first goal: They explain to potential clients what we do. For example, we have pages about our Consulting, our Research and our Speaking Appearances. Of course, your radio station won’t need to explain what you do in the same amount of depth that we do because people are already familiar with what a radio station does. However, you will have a number of static pages on your website, such as your DJ Bios, your Concerts page and your Advertise With Us page. The second goal of our website is to capture email addresses — and if possible, more information — from our visitors. We want this information so that we can continue to engage with them through email. If they visit the site and don’t give us their email address, they may never return; but if they give us their email address, we can send them emails that encourage them to return to the site to see our latest content. So we want to capture people’s email addresses and add them to our our mailing list using an email service provider (ESP). It’s important to note that an ESP is different than a personal email client like Outlook or GMail. ESPs are specifically designed to handle mass mailings to large groups of people. It’s important to use an ESP to handle your mass mailings too, because they will keep you compliant with laws like the CAN-SPAM Act. There are small business ESPs, like Mailchimp and Constant Contact, as well as enterprise solutions. A large broadcasting company might use an enterprise ESP, while a stand-alone station might use a smaller ESP. At Jacobs Media, we decided to use Mailchimp. Unlike radio stations, which may have tens of thousands of listeners in their email databases, we only have a few thousand industry professionals, so a small business solution makes more sense for us. That may not be the case for your station. Many companies outside of the radio broadcasting industry use Customer Relationship Management (CRM) software to manage their database of potential clients. Think of a CRM as a high-tech Rolodex. Years ago, salespeople kept the contact information on cards in their Rolodex, and every day they would turn the Rolodex a bit and new cards would come to the top. You’d call those potential leads, make notes of their responses, and then move on to the next day’s leads. By turning over the Rolodex, you ensured that you kept in periodic contact with all of the potential leads. When it comes to enterprise CRM software, Salesforce is the 800-pound gorilla. However, there are a number of small business CRMs for companies that don’t need all the bells and whistles, including Highrise, Zoho, and Batchbook. Radio stations should definitely consider using CRM software to manage clients and leads on the sales side of the building. For managing listeners, however, Salesforce may not be the most appropriate choice. Instead, companies like Triton Digital have designed software specifically for managing radio listener databases, while some stations are also using software from vendors like Gigya, Janrain, or Appreciation Engine. Ultimately, we decided that Jacobs Media did not need dedicated software to manage the Jacobs Media contacts; because we don’t have to manage hundreds or thousands of contacts, our ESP, Mailchimp, works well enough. Webinars are an important part of our strategy for reaching out to potential clients. Since relaunching our website, we have hosted a free webinar about once a month. This has proved to be one of most effective ways for us to grow our email list. To host these webinars, we need special software. GoToWebinar and Cisco’s WebEx are the two big players in the webinar space, although a number of other options that piggyback on Google Hangout technology have popped up in recent years. I have talked about how webinars could be a powerful lead-generation tool for radio sales departments, but it’s not something you’ll use on the programming side. Instead, you’ll use contests. Where we give away information to build our email list, your station will give away Kings of Leon tickets. The database software you use may offer giveaway capabilities. For example, Triton has the Amp suite of tools to manage contests. If your database software does not, you will want to look into software specifically for contesting. Jacobs Media does not run a radio station, so we do not use software to stream anything as part of our digital strategy. But your radio station will. Triton Digital, Wide Orbit, Securenet Systems, and Stream Guys are some of the big players in this space. When evaluating vendors, you’ll want to ask about measurement, advertising management, geofencing and a host of other options. We do, however, produce several podcasts for the radio broadcasting industry. We need a place to host the audio files for these podcasts. There are a number of options out there, including Libsyn, Blubrry, Spreaker, Audioboom, Omny Studio, Art19, Acast and more. Our podcasts are designed for the relatively small audience of radio professionals; it is not our goal to monetize the podcasts directly through ads, so we need pretty basic functionality, including metrics. Your radio station, on the other hand, will want to invest some time evaluating the different options to see which best suits your podcasting needs. All of the above options offer something slightly different. These days, it’s not enough to have a mobile-responsive website. Every radio station ought to have a dedicated mobile app. This mobile app should not only allow people to stream the station, but include other important features like an alarm clock, contesting, podcasts and metrics. Our sister company, jācapps, builds mobile apps for radio stations. There are also a number of other small tools that we use as part of our digital strategy, including Google Analytics for website metrics, social media management tools (Fred uses TweetDeck, I use Hootsuite) and a number of WordPress plugins (including the Yoast SEO plugin). Before your radio station builds its website, it’s important to map out how it will interact with all of the other digital tools in your strategy. You want to understand how all of these tools work together to accomplish the digital goals that you established. Be sure to plan this out at the beginning, because changing vendors later can be a massive undertaking. 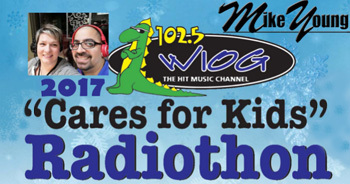 On February 9 and 10, Cumulus Media’s WIOG-FM (Saginaw) will present The WIOG Cares for Kids Radiothon, live from Hurley Children’s Hospital in Flint from 6 a.m. to 6 p.m. each day. WIOG’s Nate and Rachel in the Morning will host two days of stories and interviews with our miracle families and kids. They’ll be asking for listener donations to help support the Children’s Miracle Network. St. Clair County Sheriff Tim Donnellon (at microphone) bringing in the day’s Most Wanted Prisoner Charlie Barrett (in ballcap holding papers), retired owner of Cawood Auto in Port Huron. Barrett was unaware he’d be arrested and was brought in by Donnellon. A one-day fundraiser that ended a 61 year tradition took place this past Saturday (2/4) in Port Huron. 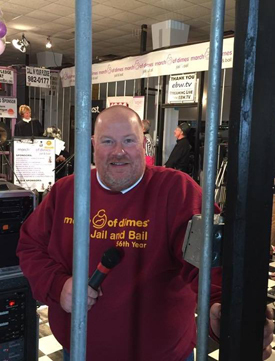 WPHM-AM hosted the annual March of Dimes “Jail and Bail” and raised $60,000! Billed as the “Last Lockup,” Saturday’s event was the final Jail and Bail for the March of Dimes in Port Huron as officials have decided that the promotion has simply run its course. Over the years, countless area residents, celebrities and others have spent time “behind bars” to raise money. 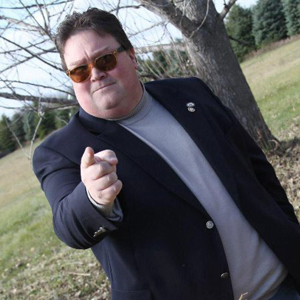 The event was started in 1956 at the suggestion of Port Huron radio personality Lee Van Dam when WPHM was known as WTTH. 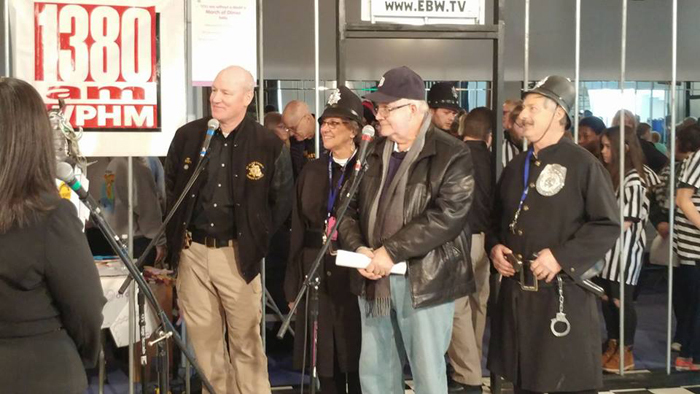 This past Saturday, in addition to the mock arraignments and bail settings, the station did a day long broadcast from the Masonic Temple Hall in Port Huron that included a line-up of local entertainment. The event was also televised on local cable. Warning: This tactic requires a lot of self-confidence! It’s an often-used adage: You’re only as good as your team. The smart managers know this. They hire “A” players, coach them and (if they’re smart) grow them to the point that their employees could replace them. The not-so-smart managers fear this and hire “C” players or – even worse – hire “A” players and hold them back, in the hopes of making themselves look good. Many years ago, I hired an Engineer for our Madison stations. He was just a kid, but I could tell that not only did he have a strong work ethic, he also had a pretty good head on his shoulders. Through the years I taught him everything I know – nothing was off-limits or held back. He became extremely valuable to me. I could leave town on vacation or business and not give a second thought to whether or not things got done. They always did. I was diligent about letting him try new things, and often gave him insights into some of the “higher level” duties that I had to take care of in my role. Then about two years ago, the inevitable happened. He was ready to grow beyond what I could offer him. He received a job offer for a position that was even far ahead of mine. So, was there jealousy, or resentment on my part? Not at all. I look at that as one of my greatest accomplishments. I helped someone achieve their dream! How many people can say that? A leader’s role goes far beyond just “getting the job done.” A leader insures that his team is always learning and growing, knowing that the people and the business benefit. Have you taken the time lately to make sure the people you’re responsible for are growing professionally? It’s one of the best investments you can make! 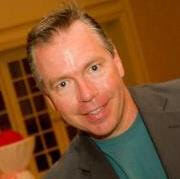 Chris Tarr, CSRE, DRB, CBNE is the Director of Technical Operations for Entercom’s Wisconsin stations. 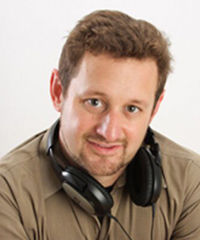 He is one of the industry’s biggest evangelists and dedicates himself to helping create great radio.